Technyflex products are derived from Premium Grade Green Lipped Mussels. 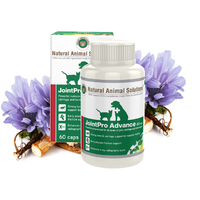 Technyflex alleviates sore and inflamed joints, arthritic symptoms and is a natural anti-inflammatory for Dogs, Horses & Cats. Technyflex has an array of natural properties that are known for their ability to assist in reducing the onset of arthritic symptoms, and known to offer relief of arthritic symptoms such as inflammation of the joints (anti inflammation) and rejuvenation of cartilage and connective tissues at the joints. It is advisable not to administer in pregnancy. Uncomfortable to get up from a lay down position. You and your dog don't have to accept these conditions associated with ageing, but it doesn't have to be that way. 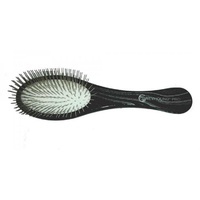 Technyflex® Canine is derived from the New Zealand Greenlipped™ Mussel with no other additives. 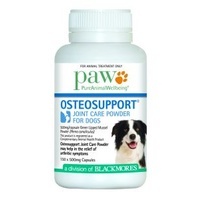 Our Products contain natural Glucosimine, Chondroitin sulphates, (Glycosaminoglycans and mucopolysaccharides). 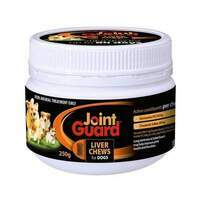 Glycosaminoglygans play an important part of rebuilding cartilage and connective tissue and they also inhibit wear and tear in joints. We have continued to better utilize our proprietary processing technique on our New Zealand Greenlipped™ Mussel extract by obtaining higher yields of EFA's, Essential Fatty acids, known as Omega 3 and 6. These consist of ETA's Eicosatetrenoic acid, EPA's Eicosapentaenoic acid and DHA's Docosahexaenoic acid. These 3 characteristics also help in assisting the dog's well being. ETA's have recently been characterised to exert a natural anti-inflammatory response (refer to technical data). Technyflex® Canine provides a natural alternative and is effective in many musculo-skeletal conditions affecting the back, neck, elbow dysplasia, hip dysplasia, and low-grade chronic lameness. 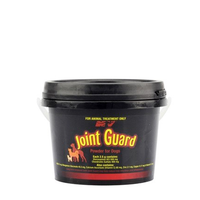 Extensive research and Veterinary trials have focused on joint suppleness and mobility. 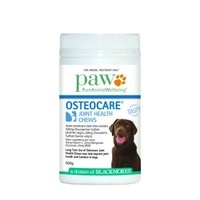 Technyflex® Canine has shown remarkable improvement in aging dogs with arthritic symptoms. Severely incapacitated dogs also showed continuous improvement in joint mobility. Technyflex® Canine is found most effective in low-grade chronic joint stiffness with a return to normal activities such as standing from a lying position and walking. 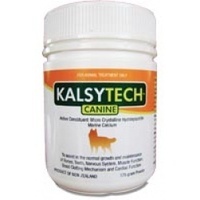 A quality of life improvement is experienced for dogs on Technyflex® Canine. EPA's assist skin conditions, which have been known to support skin permeability, condition and tone. 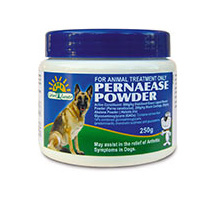 EPA in our product has been known to assist dogs with allopicia, dermatitis and other skin allergies providing a true response that the product is working effectively as the coat of the dog will show nice condition. 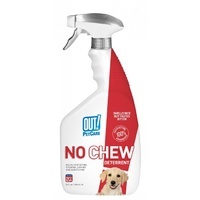 Also luster a healthy look especially if your dog shows signs of a dull or brittle coat. DHA is known to assist with the general well being. 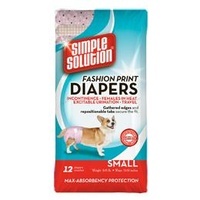 In hot or humid places such as Queensland Australia it has been shown to regulate body temperature which can keep dogs from being so irritable. My red cattle dog Max is almost 17 years old. Late last year I noticed he was starting to develop quite a bad limp due to arthritis in his front left and rear joints. He was also pulling out his fur around the right rear hip, possibly because of pain in that area. I started him on Technyflex® Canine capsules in October last year. At first there was no dramatic improvement, however around 7-10 days after commencing I noticed he was not pulling his fur out and he seemed to be able to get up a lot easier. After two weeks he had noticeably more energy and was actually running alongside the car (something he hadn't done for four months). At the end of November his fur had grown back completely and he could get up a lot easier first thing in the mornings. Just prior to Christmas I was running low on capsules and reduced his normal dose. Within a couple of days of starting the reduced dose, he started going down hill rapidly. He pulled out large chunks of his coat around the rear hip and found it very difficult to get up and remain steady on his feet. I increased the dose back to his regular levels and within a week he had recovered to around the same level of mobility and energy. I am certain the Technyflex® Canine capsules have had a positive effect on hisgeneral health, energy and mobility. I just wanted to let you know of a recent case using Technyflex® Canine. Rani is a 10 yo Rottweiler that presented with severe arthritis and chronic skin problems. She has had problems with her skin since she was a puppy and from arthritis for many years now. Her skin was itchy with bald patches and she was constantly chewing her paws. Which is a common sign of allergy in dogs. She had been on Metacam from her Vet for years and Sasha's blend for the last 12 months with not much improvement. I recommended a change in diet, avoiding all yeast, wheat, beef, sugars, processed foods and dairy. 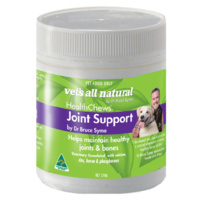 I suggested she start on the Technyflex® Canine and I also made up a herbal tonic for fast relief from her pain and to assist with reducing inflammation in the joints until the Technyflex® had time to start working. 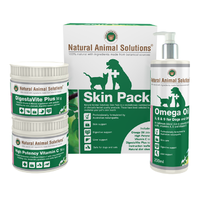 She was placed on a totally natural raw food diet with Naturpet nutritional supplement powder and flax oil daily. They contacted me 2 weeks later to report they had reduced Metacam down to 1/2 dosage and she was going well. They needed another bottle of Technyflex®, but we were out of stock, so they used Ecovet tablets instead (containing a blend of shark cartilage & greenlipped mussel extract - also contains yeast!). Less than a week later they contacted me to say she was scratching madly again and was limping again. 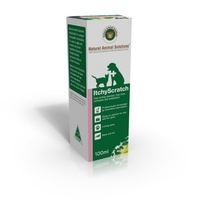 We quickly put her back onto the Technyflex® once our stocks arrived in and one week later they reported that she is back on track again, and the scratching had settled down. Last report 3 weeks later, she is totally off Metacam for the first time in years and her scratching has ceased. Needless to say, they are extremely happy with the results. My 6 year old rough collie had been constantly licking her 'knee' joints in her front legs. These joints were always very hot and I noticed she limped quite badly after exercise in the park. My vet had also diagnosed arthritis in her front legs. I did not want to use conventional drugs and therefore used the Internet to find natural remedies. 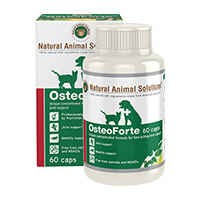 I found Greenpet, got in touch with them and received a very quick reply, then ordered Technyflex® capsules and Naturpet Nutritional Supplement powder. Since Mollie has had 2 caps a day and the supplement once daily there is a noticeable improvement in her legs. The joints are not hot any more, nor does she devote her 'spare' time to licking them.